Why See Jack & Jack? Fusing their love of hip-hop beats, and R&B-tinged melodies with unabashed, dance floor-filling pop production, dynamic duo Jack & Jack launched their career in a distinctly modern way in 2014, parlaying their viral success with comedy shorts on Vine to a fully fledged social media takeover with radio friendly anthems 'No One Compares To You', 'Wild Life' and 'Rise'. Don't miss them when they hit the road in 2019 in support of the release of their debut album 'A Good Friend Is Nice'. Chocked full of swagger and millennial references, the music Jack Johnson and Jack Gilinsky make is firmly in the wheelhouse of Justin Bieber, accessible, experimental and above all cool. Yet that doesn't mean it lacks emotional depth; the pair explores themes of love, passion, obsession and heart break in their lyrics. With Johnson stepping up to the mic to spit bars and weave dextrous rhymes around heady beats and Gilinsky effortlessly carrying stadium-sized, killer hooks, these two certainly have a steady rise into superstardom ahead of them. 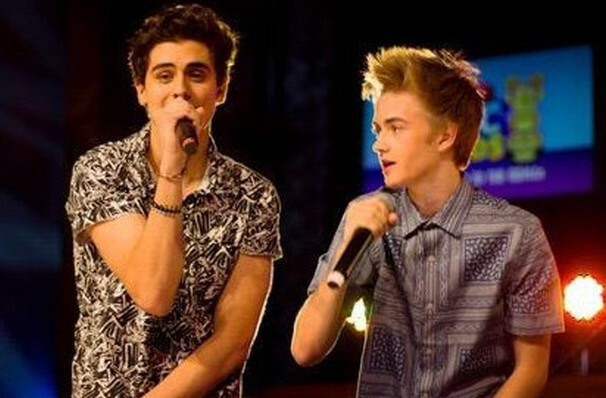 Seen Jack & Jack? Loved it? Hated it? Sound good to you? 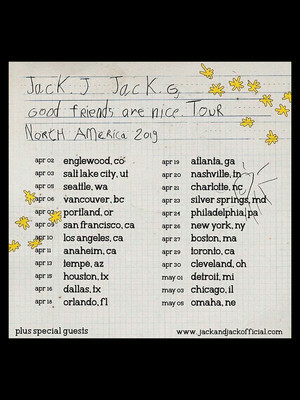 Share this page on social media and let your friends know about Jack & Jack at House of Blues. Please note: The term House of Blues and/or Jack & Jack as well as all associated graphics, logos, and/or other trademarks, tradenames or copyrights are the property of the House of Blues and/or Jack & Jack and are used herein for factual descriptive purposes only. We are in no way associated with or authorized by the House of Blues and/or Jack & Jack and neither that entity nor any of its affiliates have licensed or endorsed us to sell tickets, goods and or services in conjunction with their events.